Bows are traditional and beautiful ways to top a gift box for the holidays (and any other occasion). I love the look of bows--they're so pretty. But sometimes it's fun to top gifts in an unexpected unique way like my friend Natalie did in her awesome DIY Holiday Gift Box post on the Blitsy blog. 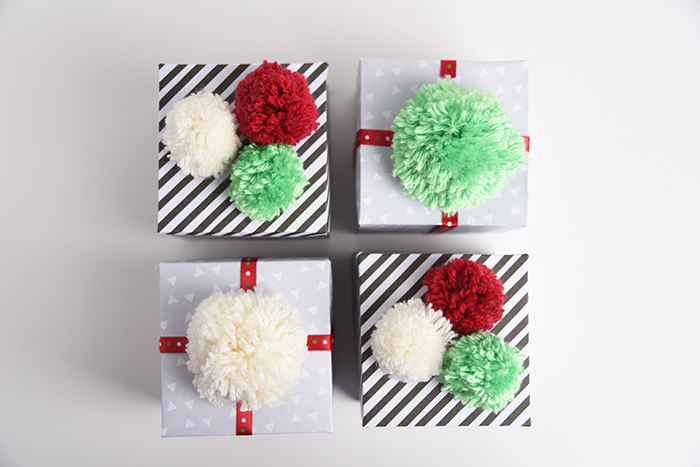 Check out Natalie's beautiful Pom Pom Gift Box Toppers! Aren't those cute?? 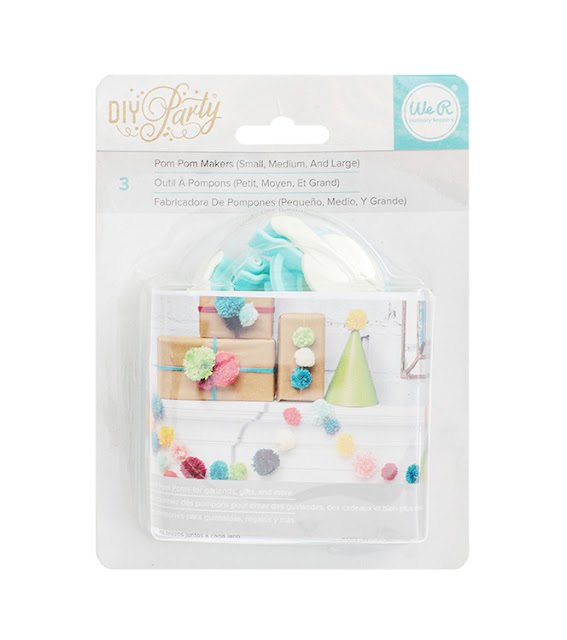 And what's so awesome is that We R Memory Keepers recently released a set of small, medium, and large Pom Pom Makers as part of their new DIY Party collection. 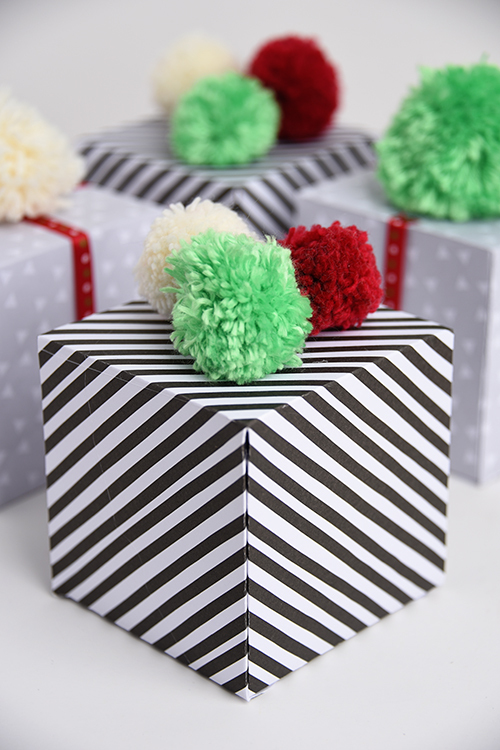 Making pom poms with those little guys is so fun and easy! 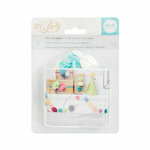 She made her boxes with the We R Memory Keepers Gift Box Punch Board, though you could add pom poms to any gift packaging you'd like. To learn how to make these gift boxes with the Gift Box Punch Board visit the original post on the Blitsy blog HERE. I just adore the look of these holiday pom poms--so fun and different! 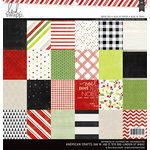 Your gift recipient's sure to love them.